It's always reassuring to hear what other customers have to say before you buy, so we have put together a collection of testimonials from some of our satisfied customers, complete with stunning photos for inspiration! 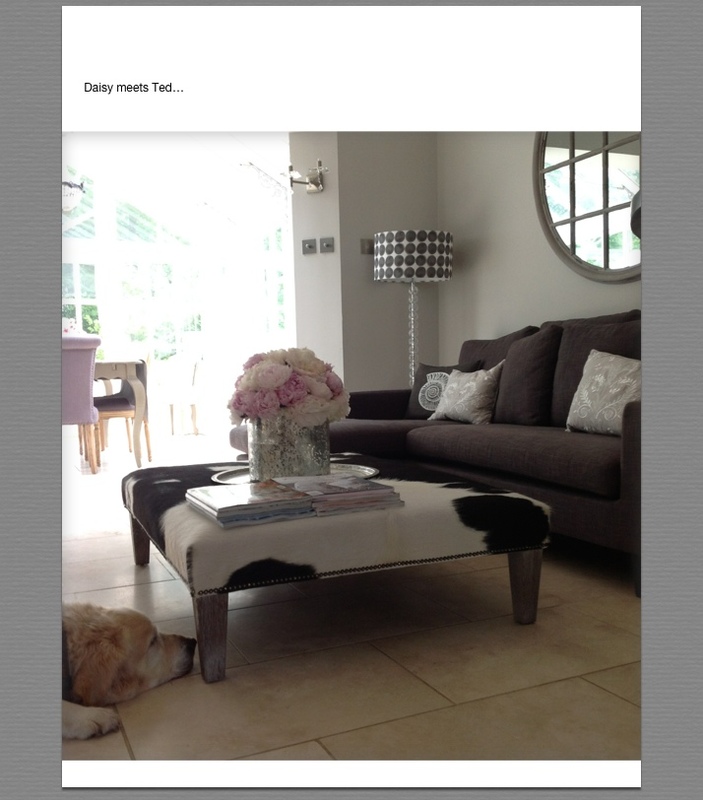 To add your testimonial, send an email complete with photos (if you wish) to gabrielle@londoncows.co.uk. 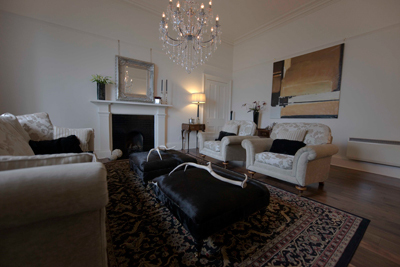 Ottamen have just been delivered and are absolutely stunning." 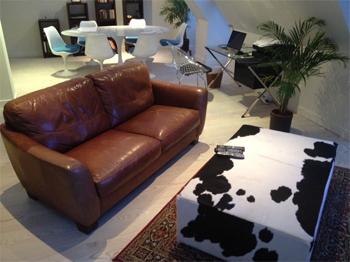 "Thank you so much for our gorgeous reindeer hide, it’s on the back of our sofa and adds the funky element we were looking for. 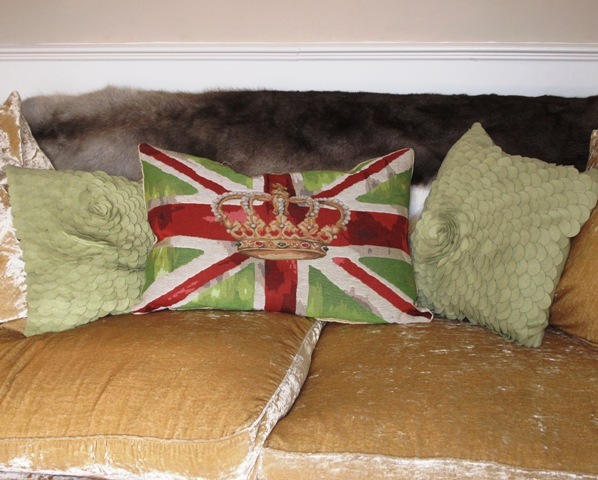 We copied your union jack cushions too!" 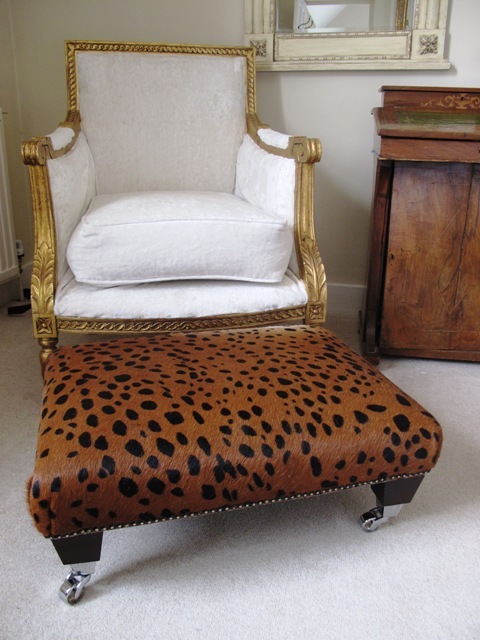 "We absolutely adore our new ‘leopard’ print footstool – it looks great amongst our more traditional pieces – even my husband who wasn’t at all convinced thinks it looks great." 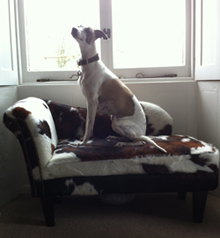 "I am absolutely delighted and love to bits my Chaise from London Cows, sadly though I never get the chance to recline on it anymore as my whippet Finlay has decided it is his!" "My son is delighted (although not as much as me) with his new reindeer hide and footstool they look great and have really finished the room off giving it that Ralph Lauren look I was after. The tri colour hide we bought for our kitchen is fabulous too. I’ll be back to you later to buy another one for my sons room soon – we got our first one from a large ‘Danish’ store and the quality is nowhere near as good as the one we got from you – thought you’d like to know." I love my new silver cowhide - bought it for the dining room but decided it needed pride of place in the hall way - too good to be hidden away. I am very pleased with the ottoman! It was made exactly to my specifications and the quality of the workmanship is great!